Air New Zealand says it has leased two widebodied aircraft to help replace capacity being lost through the forced withdrawal of some Boeing 787-9s due to engine issues. The airline said on Monday an Airbus A330 and A340 would operate between Auckland and Perth, as well as some Auckland-Sydney flights, starting next week. The pair of airframes is being wet-leased from Portugal-based charter company Hi Fly, which will supply the aircraft, pilots and cabin crew, Air New Zealand said. The Hi Fly website shows the company has a mixture of A330-200s and A330-300s in its fleet seating between 298 and 347 passengers in a two-class configuration, while it also had A340-300s and A340-500s which 237 and 300 seats in a two- or three-class layout. 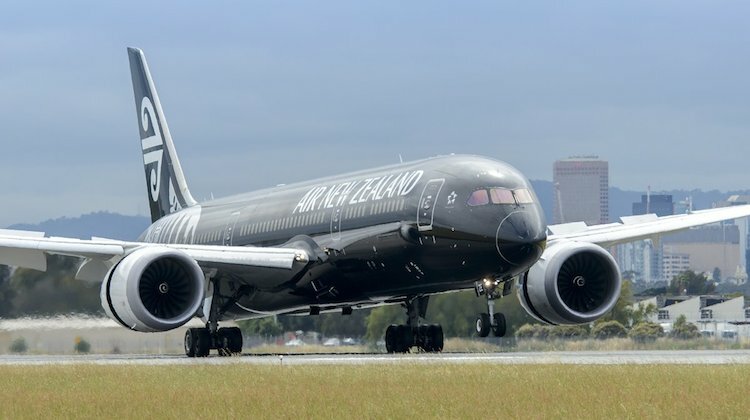 On December 7, Air New Zealand said it had been forced to cancel some international flights and retime others in response to two incidents involving the Rolls-Royce engines on its Boeing 787-9 aircraft. On both occasions, the aircraft were forced to turn back to Auckland after the New Zealand Transport Accident Investigation Commission (TAIC) said their crews were as“alerted to abnormal indications on one of the engines”. The TAIC said on its website it was investigating both incidents, which was understood to involve the failure of some turbine blades on the Trent 1000 engines. Air New Zealand said at the time the move to withdraw the aircraft was made after advice from Rolls-Royce that the Trent 1000 engines required maintenance “sooner than previously indicated”. “Rolls-Royce does not have any replacement engines available while this maintenance work is undertaken which means some schedule changes are unavoidable,” Air New Zealand said on December 7. Air New Zealand general manager for customer experience Anita Hawthorne said about 4,500 customers had been affected by the cancellations and delays so far. However, Air New Zealand would be able to operate a “near normal timetable” once the two Hi Fly aircraft are in service, she said. “We are acutely mindful of how important travel is to so many of our customers at this time of year and we are committed to ensuring we connect people with family, friends and the experiences they are looking forward to,” Hawthorne said. The issue with the turbine blades is not isolated to Air New Zealand. Previously, Japan’s All Nippon Airways (ANA) had to conduct a major replacement program of its Trent 1000 engines on its 787 fleet. Meanwhile, UK-based The Independent reported British Airways and Virgin Atlantic had also temporarily replaced some scheduled 787-9 flights with other aircraft or cancelled services to have the necessary checks carried out. Would be interesting to find out the rego’s on these leased planes. The cabin product offering looks pretty basic and dated for most planes. This arrived in to Auckland from Los Angeles @20:18pm NZ Time. As yet the registration of the A330 is unknown… however is likely to be A330-243 CS-TFZ or less likely, but still possible A330-223 CS-TQW. Looks like it will be CS-TFX for the A340-500. I worked on this for a few years in LHR. Nice ship…. The Airbus A350 is a beautiful competitor to the dreamliner. I wouldn’t be surprised to see a shift in fortunes for Airbus. From what I’ve heard, ANZ are about to sign off on another 8 x 787-9 to replace their existing 772’s. The A330NEO was actually in the running but recently decided on the 789. I wonder if they will change their mind. Why would they change to Airbus? An engine issue is an engine issue not a Boeing issue..
9H-FOX is scheduled to do the Auckland – Sydney – Auckland rotation twice a day as NZ101/102/105/108. The still unidentified A330 will do the Auckland – Perth – Auckland routing. as NZ175/176. Air New Zealand were looking at A350’s Broderick. They could still opt for them but more 789’s are looking most likely. It’s possible that for Air New Zealand to find aircraft to lease at short notice, they only found Airbus aircraft that suited. Currently ZK-NZD, ZK-NZE, ZK-NZH are at Air New Zealand Engineering Services in Auckland. ZK-NZF returned to service December 8th operating NZ175/176 AKL-PER-AKL then AKL-PVG-AKL. ZK-NZL returned to service December 10th operating NZ103/104 AKL-SYD-AKL then later AKL-IAH-AKL. Air New Zealand has never to my knowledge leased an A330 or A340. In the past they have leased 737/757/767 for extra capacity, and currently lease rather than own A320/772/773 & 789. Note: I don’t work for Air New Zealand. I’d love to though. My comment was more aimed at Air NZ looking into buying Airbus because of the issues. The leased A330-223 will be CS-TQW, flying in to Auckland from Papeete (PPT) on Friday 15th December in the evening. This aircraft is in the very nice Mirpuri Foundation “Turn the tide on plastic” / Volvo Ocean Race Livery. The length of the lease of both aircraft is currently unknown. Looks like there is going to be a few disappointed business class passengers. Both those fit outs look quite dated. I noticed the A340 has first class as well. Wonder how it will be sold or allocated. I just saw the all white a340 depart Syd airport 5 mins ago! Yes I spotted this airframe also . I’m glad AA keeps me updated as I was perplexed by an unmarked A340 flying in low & slow.